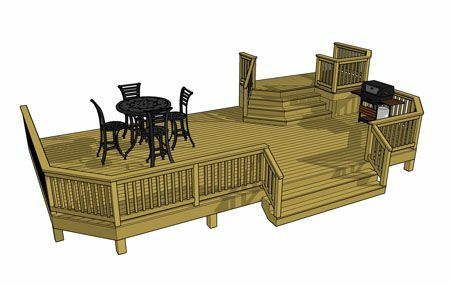 This 2 level deck features a 12' x 7' top deck with grilling area and inset angled staircase which steps down to a larger lower deck. 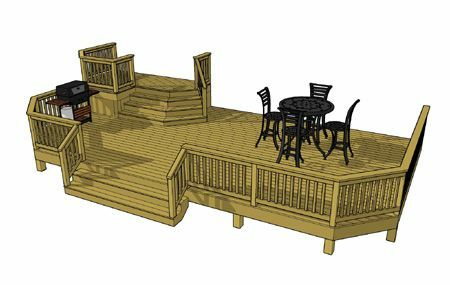 The 30' x 16' lower deck functions as the primary entertaining space. 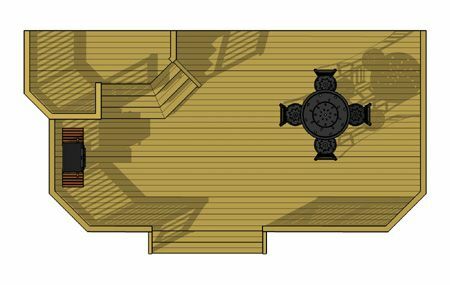 Both decks use consistent angles and coordinated staircases that allign to promote free movement on the deck.